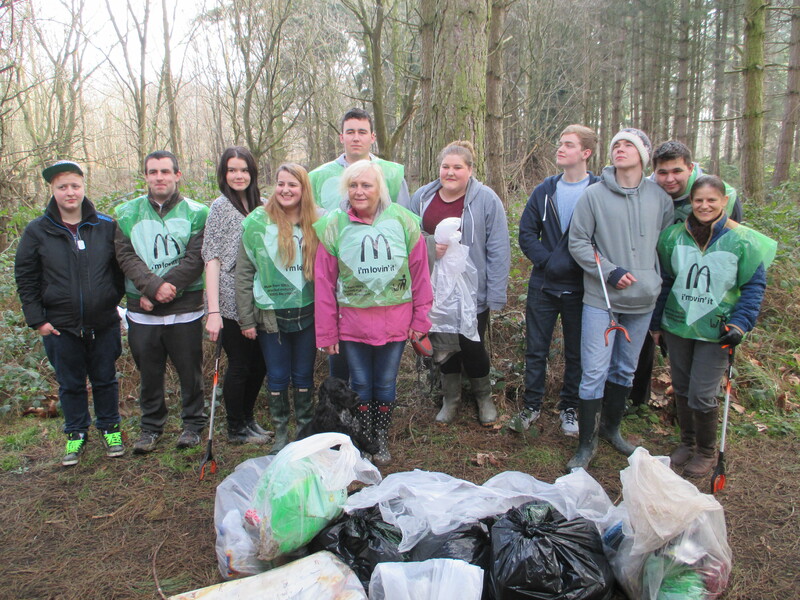 Our first joint litter pick with volunteers from McDonalds took place recently. A total of 14 pairs of helping hands collected more than eight bags of rubbish from the car park, the roadway down into the car park, the rides surrounding it, the easy access trails and the old car park. 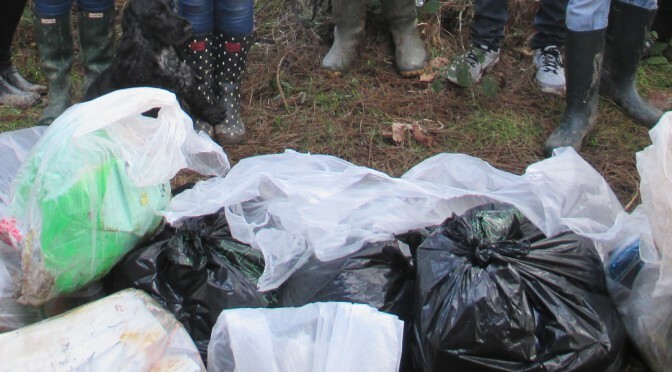 As well as McDonalds rubbish, we collected a variety of other litter including cans, bottles, crisp packets and those persistent dog poo bags. In amongst the debris however was a huge fish head, various parts of a motorbike and a solitary sock! Bags of litter collected on our first joint ‘litter pick’ with McDonalds! McDonalds’ representative Sam Spencer helpfully offered to support another litter pick session later in spring and muck in with our events. 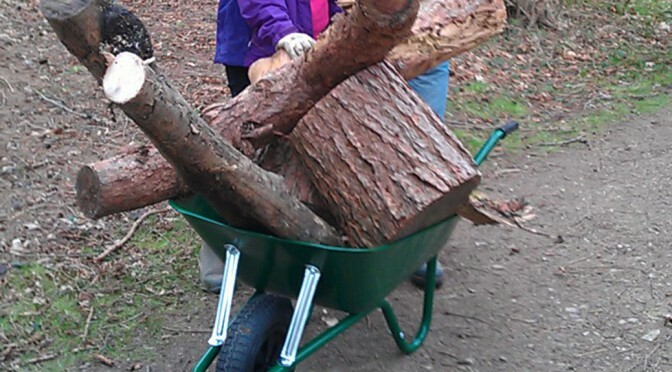 We welcome this commitment wholeheartedly and urge all visitors to the Wood to please take litter home with you and ‘stick and flick’ that dog poo (never bag it and leave it). Much of the litter left behind does not disintegrate and can be a health hazard to humans and a danger to wildlife. 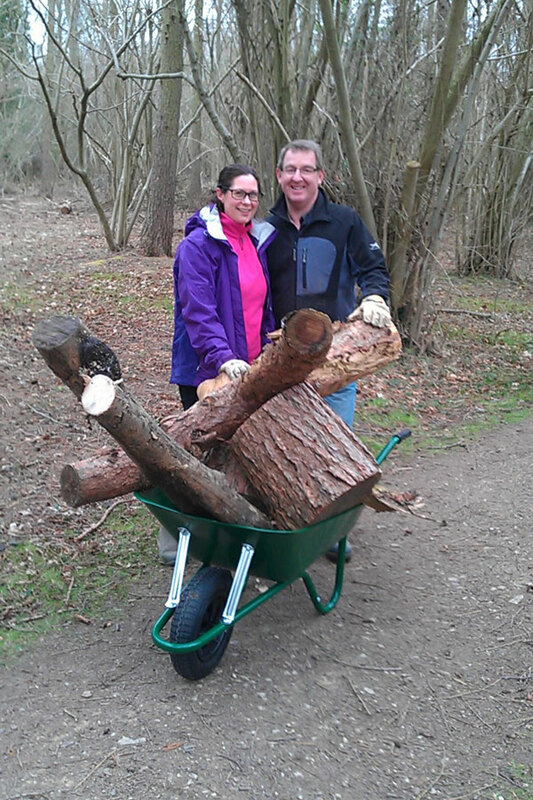 We love our Wood and want to do everything we can to keep it litter-free. If you would like to help support us in any way, please get in touch.